Hanoi (VNA) – Duc Thuan of Hanoi’s Ha Dong district bought a car with a Euro 4 emission standard after specific regulations were issued for such models in Vietnam. However, he said, finding Euro 4 fuel is “a whole other challenge”. At present, only the Petrolimex chain sells Euro 4 at its pumps and even then, not at every station. The supply of Euro 4 fuel is limited since only two local refineries produce it despite the fact that a regulation issued by the prime minister in response to heavy pollution, which went into effect on January 1, applies Euro 4 and Euro 3 standards for new cars and motorbikes. The application of the Euro 4 standard is expected to reduce emissions by 30 percent. Since urban air pollution mainly origins from traffic, according to the 2016 National Environment Report, it is of importance for the regulation to be strictly applied. The new regulation is only applied to newly imported and manufactured cars without any change for older vehicles using Euro 2 fuel. Therefore, choosing which type of fuel is totally up to car owners. Since the price of Euro 4 fuel is two to five percent higher than Euro 2 and Euro 3, car owners often opt for the more polluting fuels. 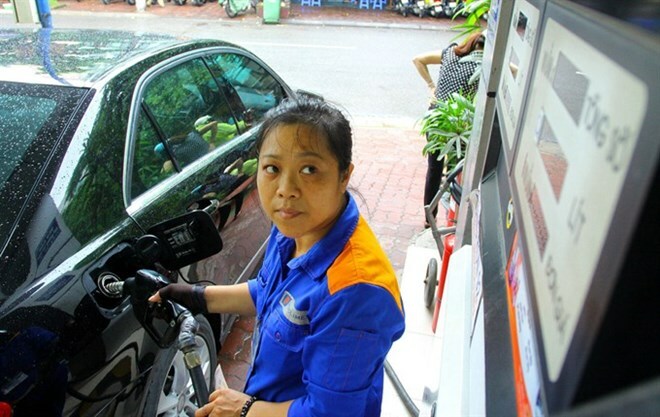 Mai Anh from HCM City told Tuoi tre (Youth) Newspaper that though she switched to a Euro 4 car for its environment friendly standards, she was concerned that only a small number of petrol stations in the city stock the fuel. Tran Ngoc Nguyen, Director of the Binh Son Refining and Petrochemical Company Limited, said that Dung Quat Refiner can only meet Euro 2 standards since it came into operation in 2009, prior to the new regulation. Only once the refiner finishes upgrading its facility in 2021 will it be able to supply cleaner fuel. “The refiner continues to supply Euro 2 fuel for more than 45 million vehicles. It is not prohibited to produce and distribute Euro 2 fuel,” said Nguyen. One refiner asked that the application of Europe 4 be phased in gradually, but Prime Minister Nguyen Xuan Phuc rejected the request, citing deteriorating urban pollution. The Ministry of Natural Resources and Environment predicts that the cost for environment-related health issues will account for 1.2 percent of GDP by 2020. An expert from the Vietnam Standards and Quality Institute thus recommends that owners of Euro 2 vehicles be encouraged to use Euro 4 fuel. Cao Hoai Duong, Director of the PetrolVietnam Oil Corporation (PVOil), says the company is implementing the new regulation. However, according to him, it is nearly impossible to distribute different types of fuel at the same time because each type needs its own tank and pipeline and PVOil needs to calculate the demand and supply at urban petrol stations. According to Nguyen Phu Cuong, head of the Science and Technology Department under the Ministry of Industry and Trade, a detailed report is being written on the types of fuel on the market and on limiting the numbers of such products. The ministry is working with refiners to set up an upgrading plan to meet emission regulations.